Help these critters get the trains ready for the rails! 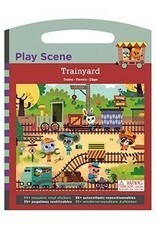 Children can create a bustling scene of trainyard fun with this sticker play set. 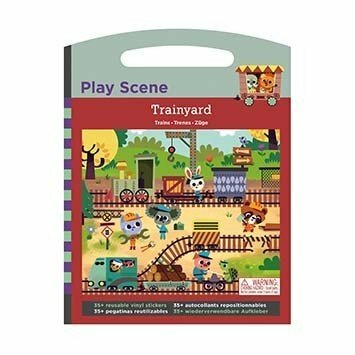 The Trainyard Play Scene features a portable background scene and over 35 reusable vinyl stickers with plenty of cute characters. Perfect for travel or at home, this set encourages free play and storytelling.